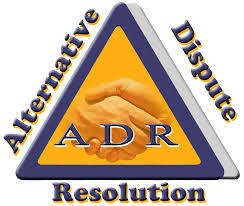 Evolution of Process of Alternative Dispute Resolution in Bangladesh: Whether arbitration and mediation is appropriate procedure to solve dispute.Alternative Dispute Resolution (ADR) can be a general term encompassing various systems for resolving conflict beyond court using a neutral alternative. When strategically applied inside context of enforcement negotiations on prices, ADR has been shown to be a useful application in overcoming impasse, improving the efficiency of difficult negotiations, as well as achieving durable debt settlements. Outside of the actual enforcement context, ADR have been effectively used to improve public involvement in environmental decisions, to be able to facilitate technical concerns and information transactions, and to identify creative methods to daunting problems.